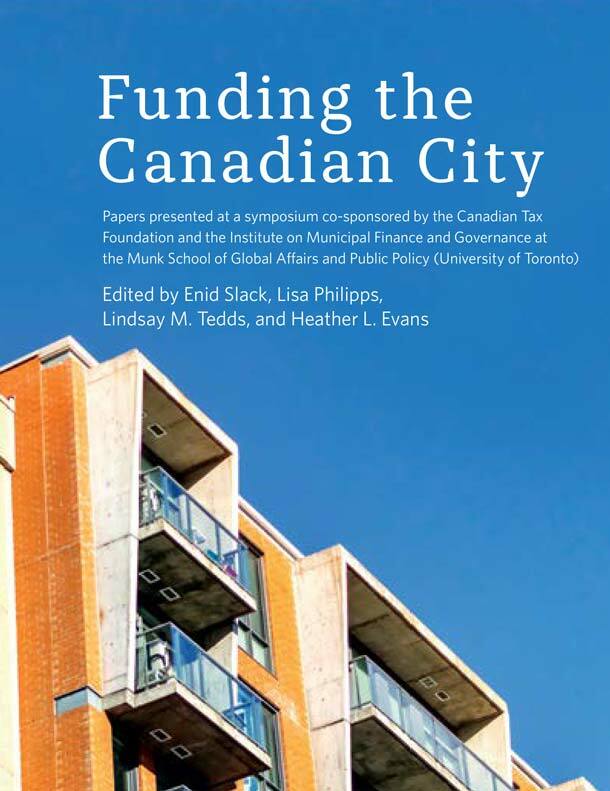 Funding the Canadian City features essays by leading experts in the field of municipal taxation on the various financial challenges facing cities in Canada and the practical means of navigating them. In IMFG Paper no. 43, Matthew Lesch identifies some important lessons for municipalities looking to create new revenue streams for transit projects. In IMFG Paper No. 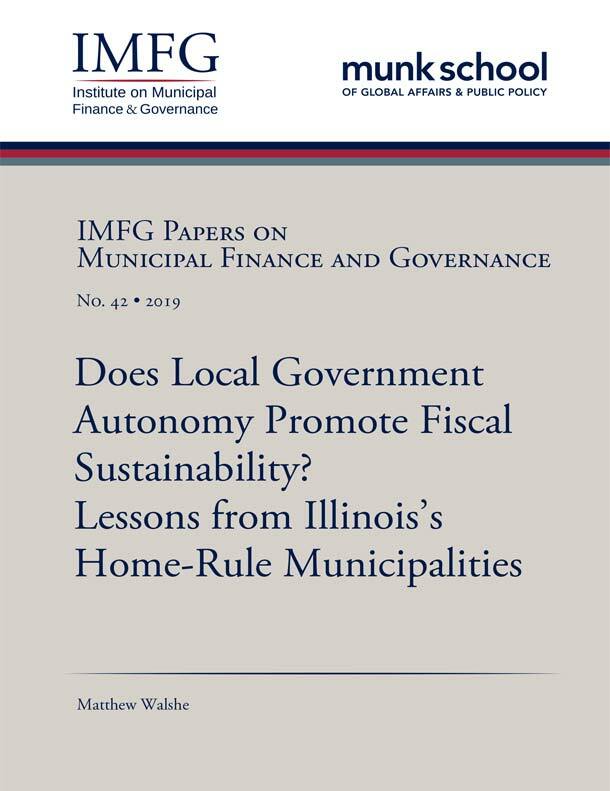 42, Matthew Walshe argues that local government autonomy is associated with improved fiscal health in cities across Illinois. 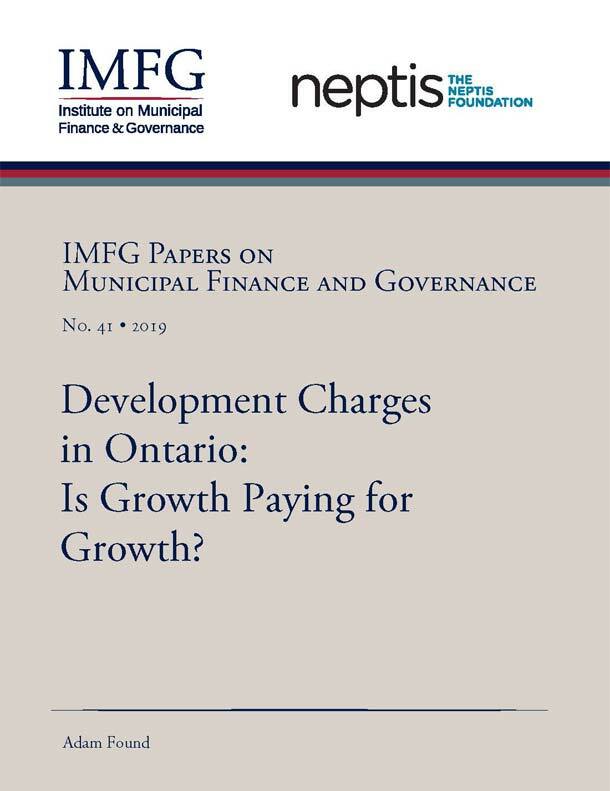 Development Charges in Ontario: Is Growth Paying for Growth? In IMFG Paper No. 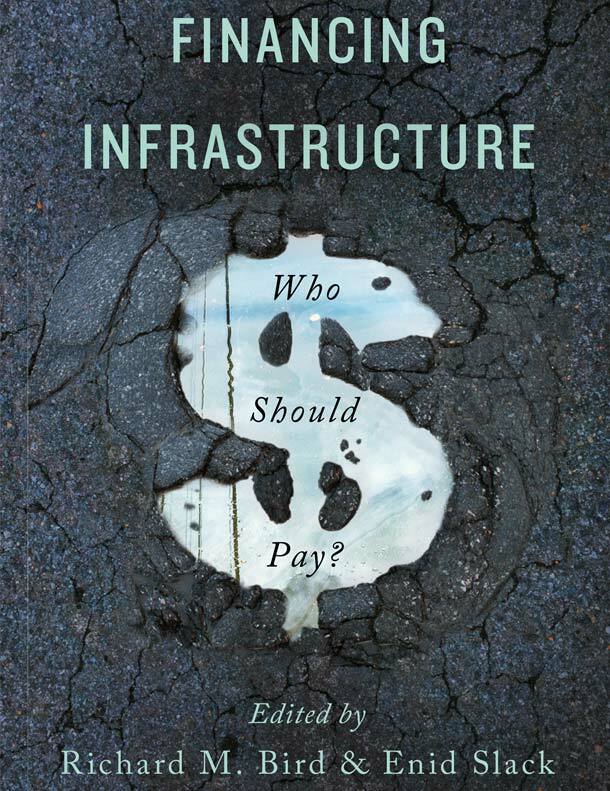 41, economist Adam Found argues that development charges are the best way for cities to pay for the infrastructure necessitated by growth. 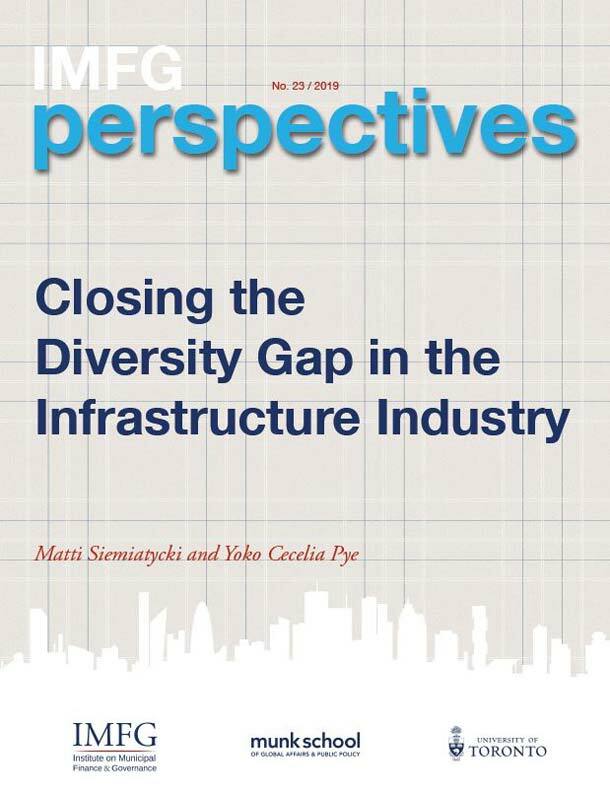 New IMFG Perspectives Paper highlights the lack of diversity in the industry at the heart of planning, building, and maintaining our cities. 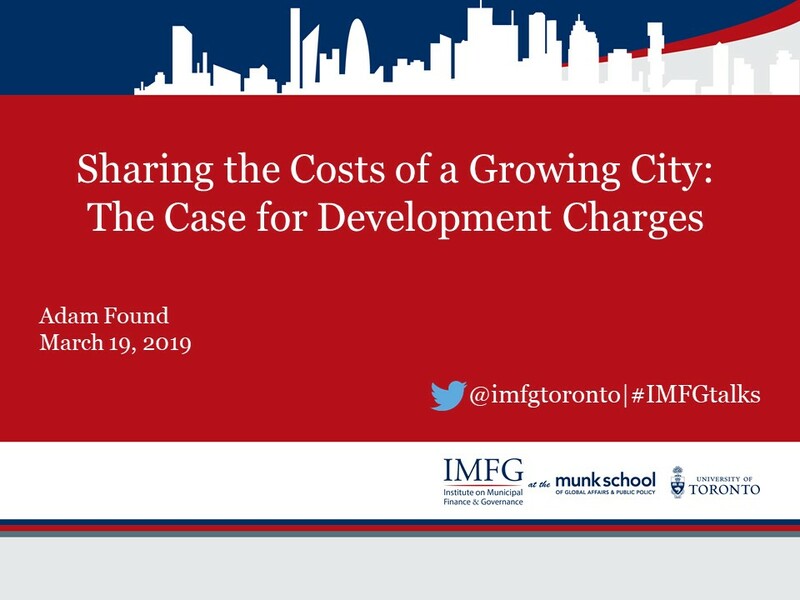 IMFG releases new data on the state of Toronto’s finances, including its spending, revenues, debt, and infrastructure. How do we pay for the cities we want? What taxes and other revenues do cities have at their disposal? 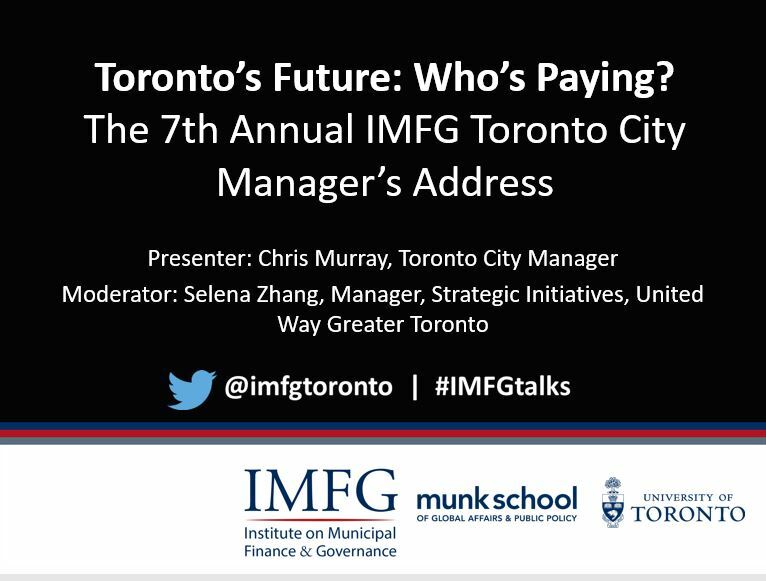 Explore IMFG's archive of research, presentations, and videos on municipal revenues. Amalgamation or decentralization: What does it all mean for cities? 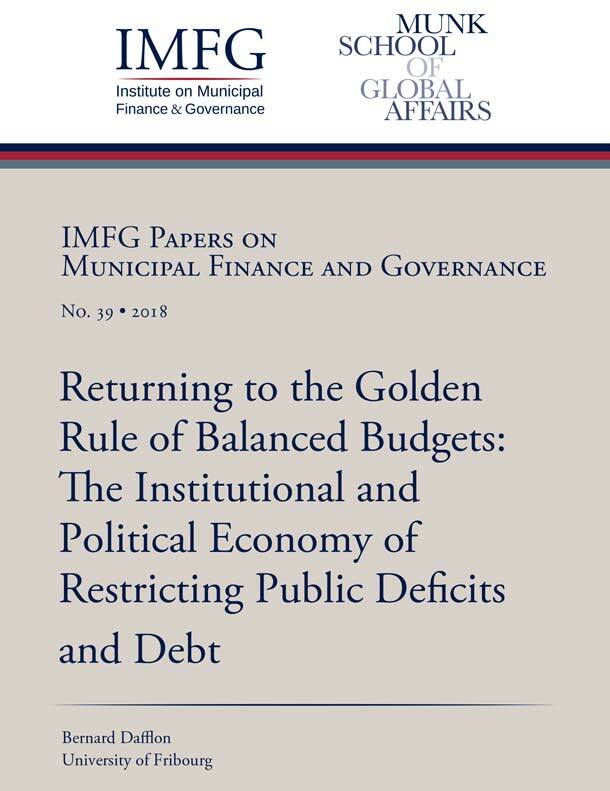 IMFG research and presentations examine issues such as the (de)centralization of powers and amalgamation in local government reform. 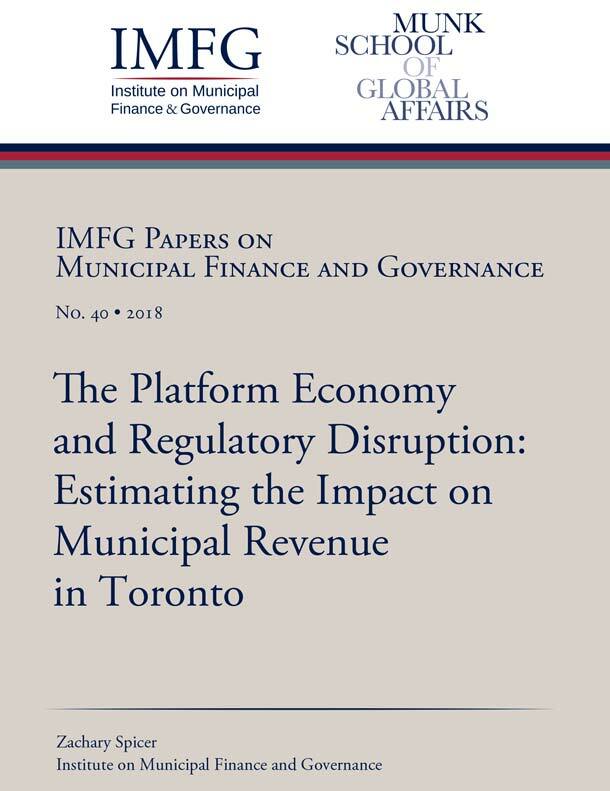 The IMFG Papers in Municipal Finance and Governance series disseminates academic research undertaken in Canada and abroad on municipal finance and governance issues. 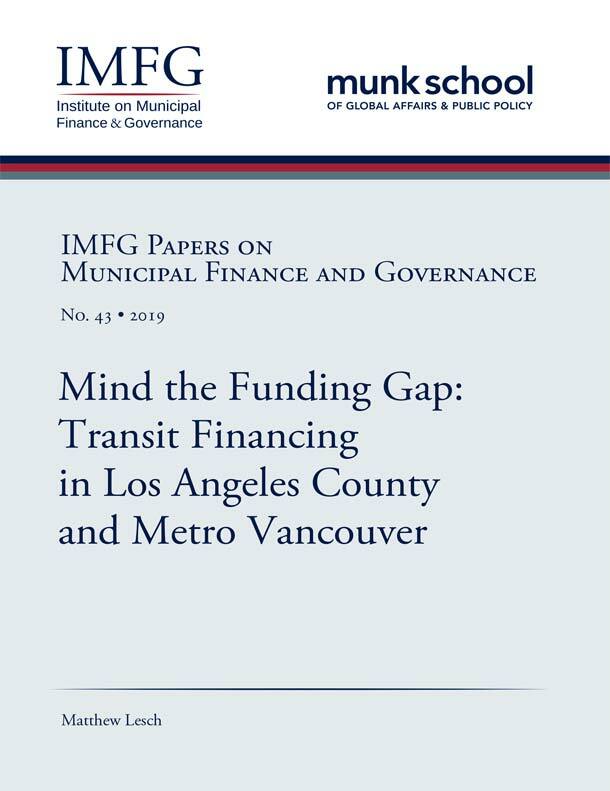 The IMFG Perspectives series features short policy papers intended to inform and spark public debate about important current issues in urban public affairs. 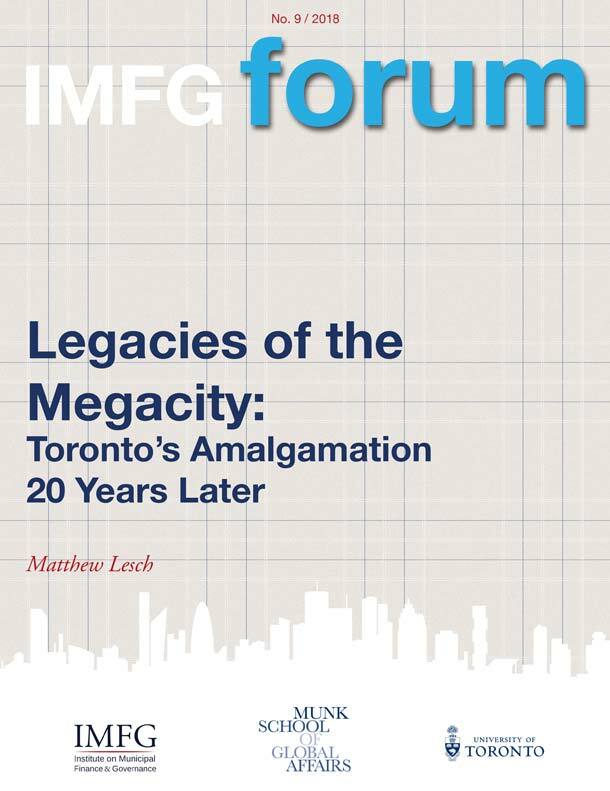 IMFG's Forum Papers capture the key themes from many of our engaging public events. 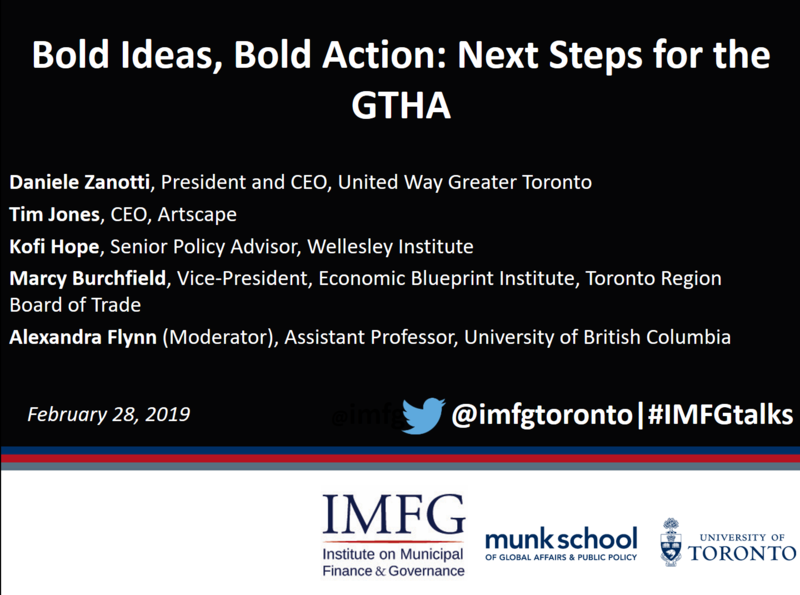 Did you miss a recent IMFG event? View full webcasts from some of our high-profile events anytime in our video archive. Publications by an array of domestic and international experts. 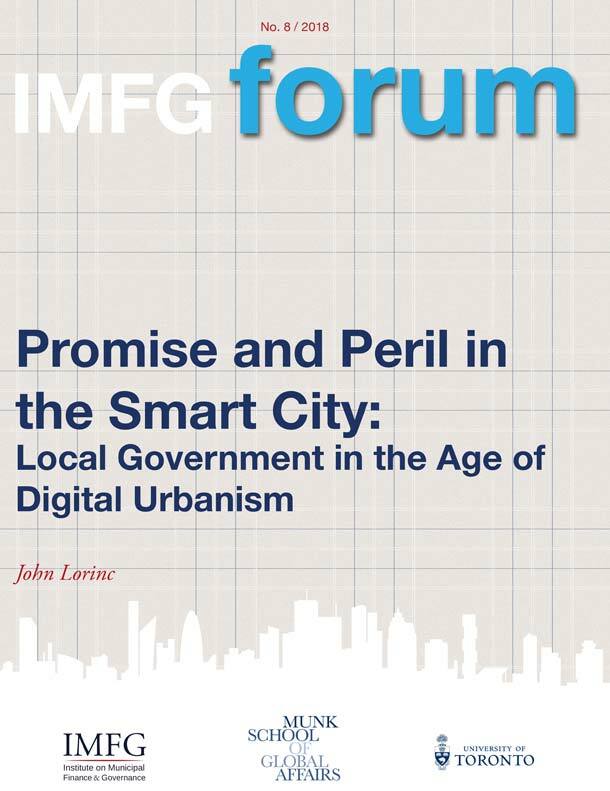 Profiling best practices for Canadian cities and elevating the public debate. 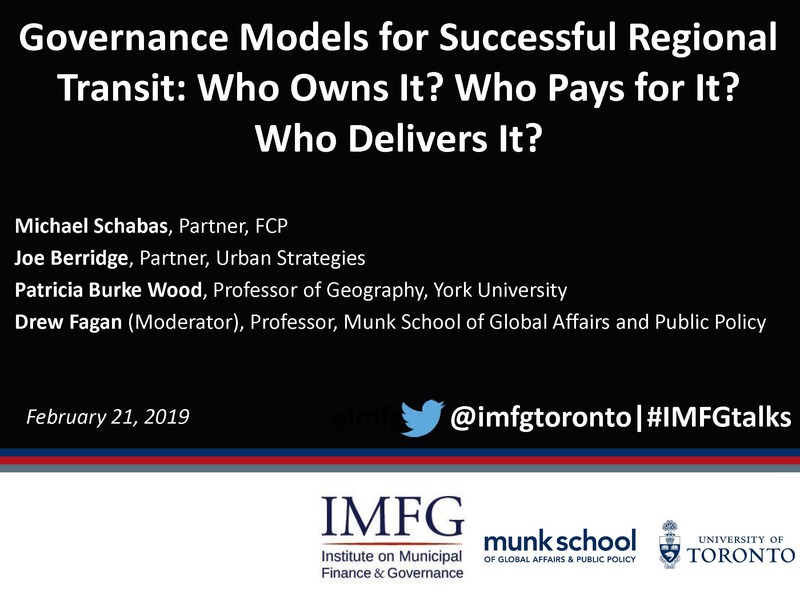 Shaping Canada’s next generation of municipal finance and governance experts. 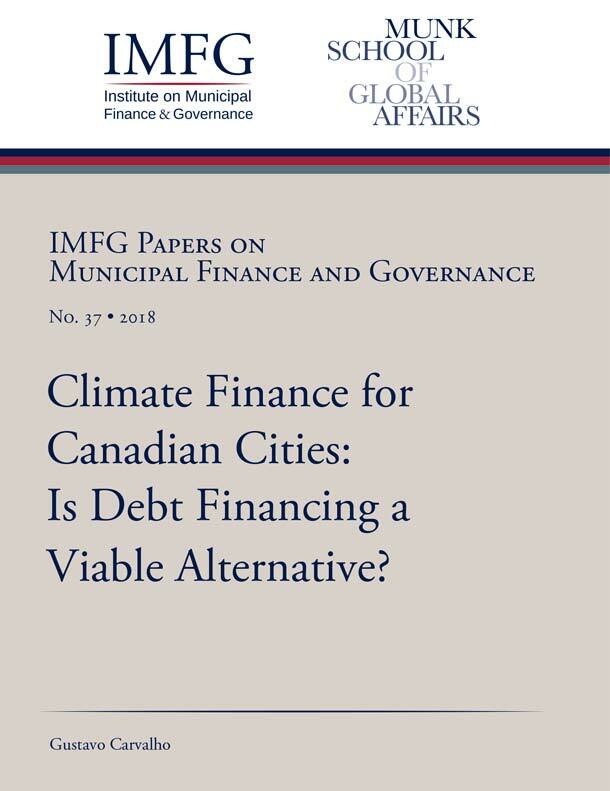 Climate Finance for Canadian Cities: Is Debt Financing a Viable Alternative?